Two very important sections of UTOPIA in which you can manage both technical and organizational measures. Creating the organizational structure, in addition to lay out the company profile, also help to manage all individuals involved in the processing of personal data such as the authorized persons and the designated. 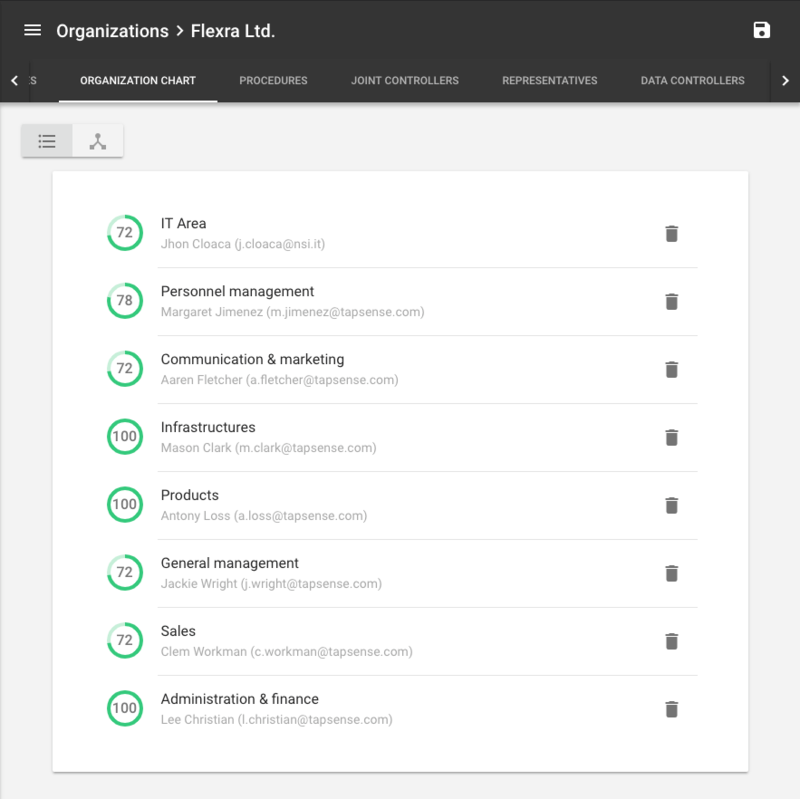 To manage the organization chart enter an organization, click Organizations chart tab and use the (+) button to add a new element or open an existing one to edit. For each element of the chart you can also add the authorized persons (specifying the tax identification number, email and tasks). Remember that after linking he or she in a processing activity here you will see the list of those in which he or she is involved. 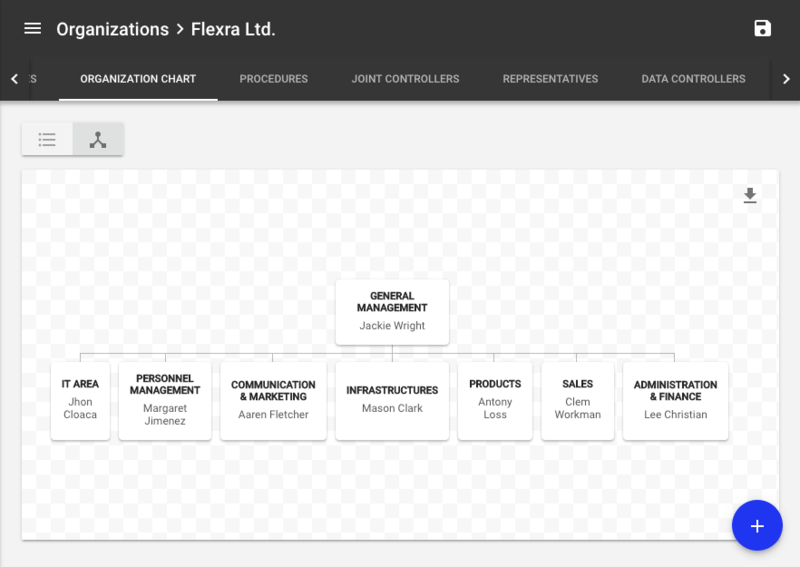 Graphic format: to see a picture of the entire organization chart (you must link elements). Download image: to download a copy of the organization chart as an image and use it, for example, in other documents. 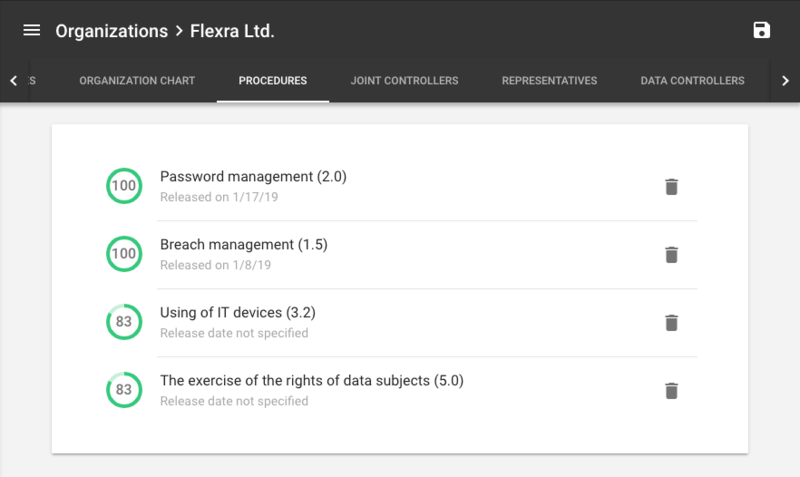 Another important section, designed to store the privacy documentation of the company where you can attach different types of documents such as company policies, guidelines, internal regulations or instructions to processing as required by Art. 29. Finally, upload the document in any format and download when you need it.